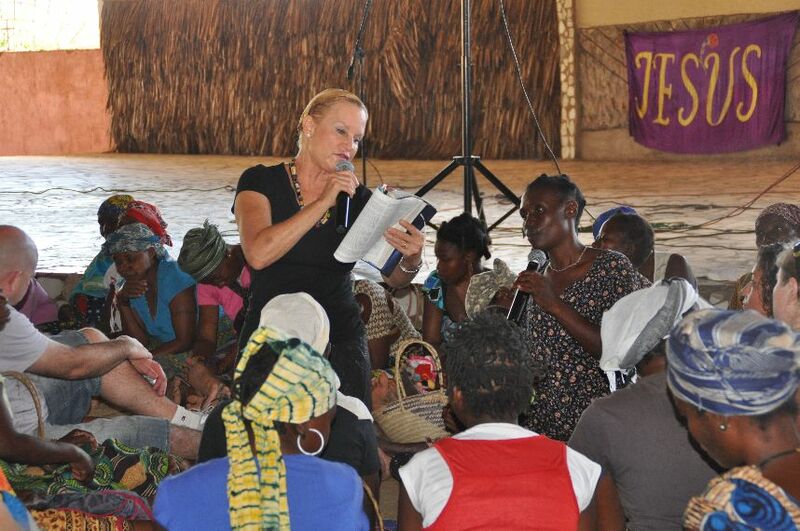 Our morning in Mozambique started off with Heidi Baker doing a village meeting for widows. The purpose was to give some discipleship teaching to the widows, but to also give an opportunity for the visiting foreigners (like myself) a chance to get into a local Mozambique village and home. Since I came from Cambodia, the poverty of the women and Mozambique in general, was not shocking. 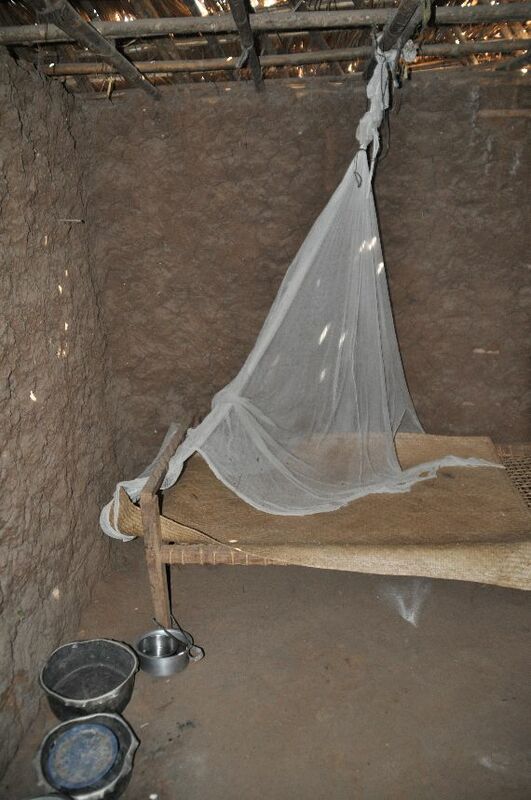 It is very similar to the Cambodian rural context. Most of the people in Pemba are from the Maconde tribe which are/were a majority Islamic tribe. In the last ten years though, tens of thousands of them have become Christians. The women who we were sitting with were all from this tribe. Most had a little baby or two in tow. The babies are very cute! Heidi taught and the women listened intently, a few hundred of them gathered in a circle. Children ran around, little children played with each other and babies nursed on their mothers. Nothing was a distraction here; it is just a normal part of village life. Heidi taught switching effortlessly between English and Portuguese, with another women sitting with her to translate to Maconde. At the end of the meeting we were asked to form into groups and some of the women would invite us back to their homes. We had a nice group of three which soon formed into six and three Mozambique pastors joined the group as well to translate, even though none of them could really speak Portuguese. Fortunately, having grown up in the Philippine and having a daughter who like to watch “Dora the Explorer”, I know enough Spanish words to communicate a little bit as Spanish and Portuguese are quite similar! 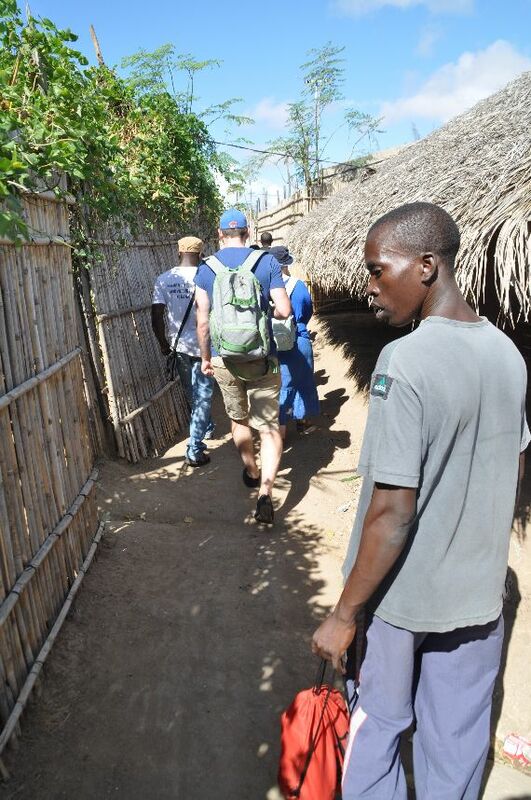 Two widows asked us to visit their homes, so we headed off with them through the narrow village paths. There are no streets here, only narrow walkways laid out with no apparent order in the village. We probably walked about twenty minutes before we came to village hut. Here, three widows lived. The house was about 15 feet by 15 feet. It was made entirely of mud and bamboo with a coconut leaf roof. Inside there were three rooms, one for each widow. The mothers each had a bed and two to three children each, normally with one baby on their breast. Inside this home were three rooms. The small wood frame beds filled most of the room with a cooking pot in the corner and what items they owned in a bucket against the wall. The cramped space was sad knowing that in this house as big as most people’s kitchen in the West housed as many as 12 people. 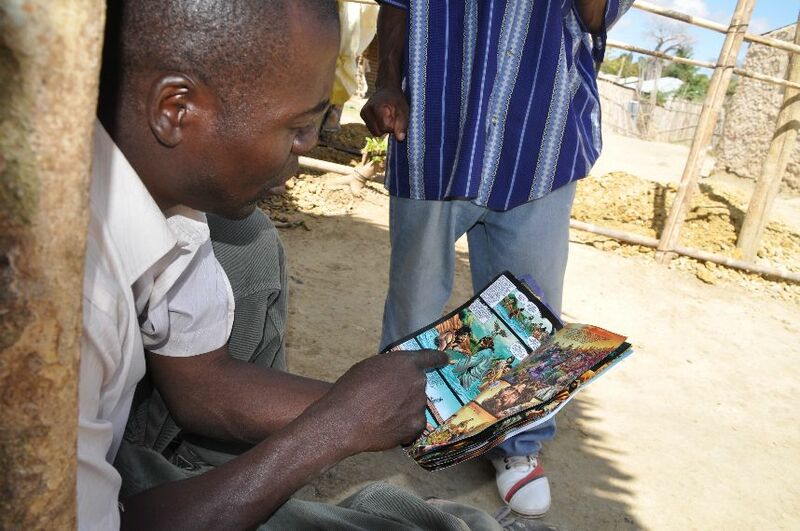 Iris Ministries had helped the widows with a roof, but it was far from water-tight and needed to be replaced. We were warned not to give outright because it would create a pattern of handouts to the women. But we sat in their little hours and prayed for them and their family. After visiting that house, we walked another 10-15 minutes down small paths to another house of widows. It was just as pitiful. Here we again prayed for the widows, but then two of our team went to a local market to buy some gifts (oil, sugar, salt) for the widows. One widow, who did not have shoes, stepped on a half-inch long thorn as we walked on the path. He face quince in pain as she slowly pulled it out. She said, “No sapatos” which I understood clear as day: “no shoes”. Today, she got new shoes! As our team waited, I had prepared a little surprise. Since I came from the US and I knew Mozambique had tons of kids, I brought nearly a dozen 3 pound bags of candy. I brought one with me to share with kids. I started handing them out and the bravest kids bit into the small candies. They were Skittles. Immediately, their faces lit up and they begged for more. Mostly, they were well behaved. But I had an agenda. I wanted to play with the kids, which I did all day long, but I wanted to tell them about Jesus. A friend had given me tract in Portuguese so I opened it and started to tell the story using the 20-30 Spanish words I knew. A pastor sitting near me, caught on later and help to explain in details as I described each picture. We ended with asking the children if they wanted Jesus in their hearts. They would point their hearts and say “Yesu” (Jesus). Though it was simple and communication was a problem, I just wanted to stir their hearts toward Jesus. I was glad I had the opportunity to love on the little kids some. The pastors who were with us also loved the Skittles. It is walking down these paths, visiting their homes, and sitting in the dirt with the people, our bonds hearts together. As we just be with them, we love them. When we love them, their days become a little brighter. 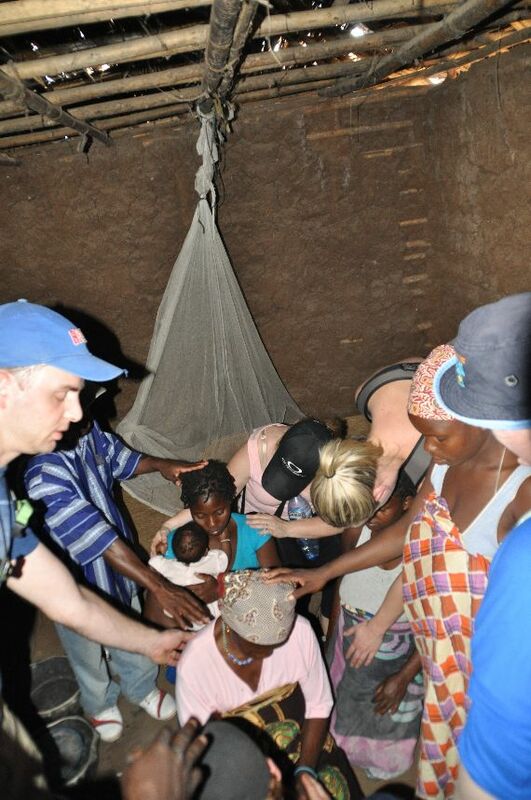 This was a great day in a Mozambique village. I love reading your posts Steve and this is a great one!